Coastal Shipping has grown into a hugely popular magazine and is read by shipping professionals and coastal shipping enthusiasts alike. 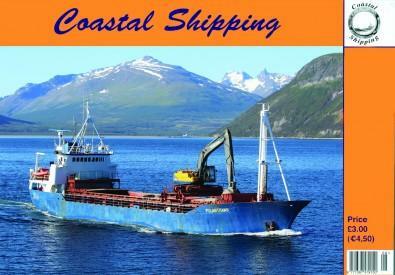 It is a bi-monthly magazine, A5 landscape format, for all who are interested in coastal ships and their trades. From 2013 each issue will have 48 pages of news and views, with articles varying from nostalgia to the very latest news. Each issue is well illustrated with colour photographs. Regular features include "Coaster of the Past", which looks at the career of a once-familiar vessel; "Port Panorama", which is a pictorial review of coastal vessels in a specific port setting; and "Name Check", which has news of recent sales and renamings of coasters. This is all in addition to news updates on the activities of coastal vessels from various parts of the UK. Some information on European coastal shipping activity is included, and occasional world wide features are incorporated. Be the first person to tell us what you think about Coastal Shipping and you'll save £2.50 on your next purchase!